My life since college has been one of consistent transition – between friends, places, and experiences as I’ve bounced from one coast to another and multiple stops in between. Through all of that is a love of transition, of embracing change and the weirdness of the new and unknown. And indeed you as a reader can see it in the releases I tend to gravitate toward most regularly, those that embody the spirit of transition in one form or another. Welcome to the fray Unraveling; Arising, the work by Washington-based artist Alex Roland Freilich. I became introduced to this album like I do many others, drifting across the internet. The reflection offered in that initial moment was that it was atmospheric black metal that relied to heavily on the atmosphere and not enough on the black metal. Given my usual inclination to vehemently do the opposite of what purists would advise, I sought the release out and found myself lovingly surprised. And really vindicated. “Sings The Sky”, like the majority of offerings here, is long and sprawling. A clean beginning that put me in mind of a now long-defunct shoegaze act, there’s a regular and beautiful melancholy on display. Clean male and female vocals intertwine over this section, as though it has nowhere to be and wherever it is going, it isn’t going there quickly. When the blast beats and black metal elements do kick in, they’re not that dissimilar from the Cascadian sound (the examples of which are well known, I don’t need to repeat them here). 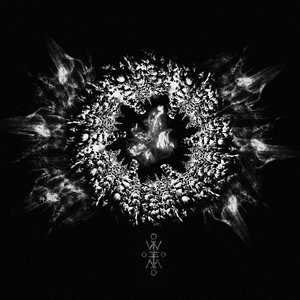 But these moments are not frequent and what struck me most as I listened through the rest of Unraveling; Arising, is that to label this as a black metal release at all does it a disservice in that it paints a very incomplete picture. As previously mentioned, all but one of the tracks (self-titled album midpoint is a comparatively brief, largely ambient indulgence, something akin to the low-light of dawn breaking through windows) goes well beyond the ten minute mark. They’re given to long-form build ups that give out, sometimes flare out completely, purposely going nowhere. This album is the embodiment of the post idea, and if drawing on releases from 1994, shares far more in common with Hex than Transylvanian Hunger, though it certainly sprinkles black metal elements throughout. So to that end, I expect in a lot of circles this album may get an unfair shake. Stepping aside a thousand year digression on genre tags and what falls where, Unraveling; Arising is a cathartic, moving experience. It seethes – sometimes with anguish, sometimes with radiance. “Wheeling, Endlessly Wheeling”, is consuming in its slow-burning reflection and later outright burning as it hurls toward its conclusion. It also feels very indicative of my particular course in life. That is the best part.